We like TED talks because they are always easy and inspiring while its presenters are smart and witty. We are also pretty much fond of those caustic opening jokes. But reading about artificial intelligence (AI) is not the same as watching and listening about it. Thus, we compiled a list of the best TED videos about AI to help you dig deeper into the subject and understand how it works and where it takes us. Enjoy! Yoshua Bengio is the head of the Montreal Institute for Learning Algorithms, and a co-founder of the Element AI. He is a well-known AI scientist who made a major contribution to deep learning, neural language models, and biologically inspired machine learning research. In his TED presentation Yoshua explains how modern machines are using patterns of the human model of thinking to learn and develop. He also talks about major challenges we are facing on our way to achieving a human-like level of AI. This video will be interesting for those who want to understand how AI works and why, within a relatively short period of time it will revolutionize our everyday life. 2. Can we build AI without losing control over it? Sam Harris seems to be a grumpy guy but only until the moment he starts talking. Sam is a famous American writer, philosopher, and neuroscientists who in his speeches and publications dwells on the interaction of humanity with technologies as well as explaining how machine learning will change our way of living. In this video, Sam gives a philosophic perspective on AI development by explaining that our belief and knowledge of the intellect and intelligence will be very soon revolutionized by super smart machines, which according to him may treat us the same way we treat ants today. Stuart Russell is a well-known AI scientist, a Professor of Computer Science at the University of California, a member of Scientific Advisory Board of the Future of Life Institute who throughout his entire career has worked on making smart computers smarter. Stuart’s TED lecture is dedicated to ways of preparing ourselves for super-intelligent robots. He presents to the audience his vision of how to avoid going to war with smart machines and try to cooperate with them while striving to create a more efficient, technological and peaceful world. Kevin Kelly doesn’t really need any introduction, but in case you forgot who he is then welcome the editor of Wired – probably the best magazine about tech in the world. If you really want to learn something about current technological trends then Kevin is the best guy to listen to. Besides dwelling on common principles of AI functioning Kelly also tells the audience that within 20 years we’ll be using some technologies and devices which we cannot even imagine today. 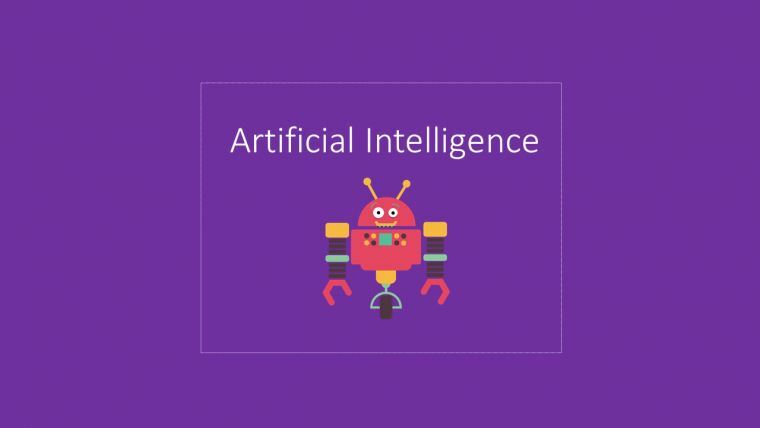 He also distinguishes 3 main trends of AI development as well as providing guidance on how to embrace them in order to make friends with AI. 5. What happens when our computers get smarter than we are? Nick Bostrom is a Swedish philosopher, professor of the Oxford University whose sphere of scientific interests includes, but is not limited to the work of consciousness, AI, nanotechnologies and simulated reality. In his speech, Nick urges us to consider technological development and AI advancement critically and to think twice about whether it will help humanity to preserve its values or will smart robots have their own values and interests different of those shared among human beings. Rana el Kaliouby is a research scientist at the Massachusetts Institute of Technology and an entrepreneur who specializes in facial recognition technologies and emotions measurement. This TED presentation is interactive and demonstrates what machine-learning techs are capable of today. Besides a demonstration of face recognition techs, the speaker also draws some pretty accurate conclusions on how AI will change the way people interact not only with machines but also among themselves. You can tell that he is a smart guy just by looking at him. Neil Nie is a successful programmer and developer of applications for iPhones and Macs. He is also a computer science student at Deerfield Academy where his research is focused on neural networks and machine learning. His performance on TED is a logically structured story about current and anticipated opportunities offered by AI, in particular, those related to objects recognition. As with all the other speakers, he also reflects on the potential impact AI development will have on both our everyday life and far fetching global development trends.